"The" guide to discovering beautiful treasures on a budget from the acclaimed creator of the Shabby Chic style and line of home furnishings. 200 color photos & 50 color illustrations. New ideas on how to design, build, and decorate a home are always of essential value to architects, designers, and homeowners alike. This book offers an extensive collection of apartments from all over the world, devised by distinguished international architects and designers who have worked to achieve practical, innovative, and stunning solutions adapted to the specific needs and particular tastes of their clients. This compilation expresses the diversity of current trends in apartment design and provides an inspirational source of ideas for those active in the field of design or interested in catching up on the latest in contemporary residential architecture. The versatility of the sleek metallic gems of Airstream has captured the imagination of a new generation. Paris Hilton used one to tour the country in The Simple Life. Designer Ralph Lauren owns four. 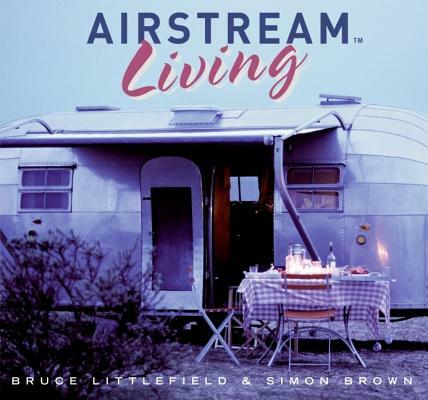 Airstream Living explores these vehicles' many uses, from vacation travel to permanent residence, from home office to pool house, from on-set accommodation for movie stars to businesses such as diners and stores. In its pages, profiles of real-life owners reveal how they use their trailers to enhance their lifestyle, and vacationers will find advice on how to get the most out of Airstreams. Inspirational photographs accompany advice on decorating interiors in styles that range from the simple to opulent: retro chic, Ralph Lauren's Adirondack and Western themes, a seaside look for coastal touring, and much more. Practical advice covers everything from buying your first Airstream to care and cleaning tips to solutions for storage. A directory provides a thorough listing of suppliers and websites. For anyone who owns an Airstream or is thinking about purchasing one, this book is a must-read for living life to the fullest aboard a land yacht. A professional decorator and expert in making small spaces both elegant and functional offers detailed tips, tricks of the trade, photographs, and anecdotal examples explain to home owners how to create more storage, update and modernize favorite old pieces, and find a new home for the stuff no longer needed. From the first closet face-off to long-term maintenance, Charlton Fascitelli goes step-by-step through the entire process of turning a closet into a "safe haven" for clothes. "Gorgeously Green" is a handbook for living the good life while caring for the Earth. Packed with the most up-to-date information, this work covers fashion, home, travel, and more. Illustrated. New ideas on how to design, build, and decorate a kitchen are always of essential value to architects, designers, and homeowners. This new addition to a successful series offers an extensive collection of both modern and traditional kitchen designs from all over the world, plans devised by distinguished international architects and designers who have worked to achieve practical, innovative, and stunning solutions adapted to the specific needs and particular tastes of their clients. An exciting compilation, 150 Best Kitchen Ideas expresses the diversity of current trends in kitchen design focusing on decor--materials, lighting, colors, and windows--and specifics such as tables, wall units, flooring, appliances, and countertops. It is an inspirational source of ideas for those active in the field of design or interested in updating the focal point of their homes. Bestselling author Keller arms homeowners and homebuyers alike with everything they need to know about creating and buying sustainable, eco-friendly homes. "Previously published as Teach yourself Saving energy in the home"--T.p. verso. 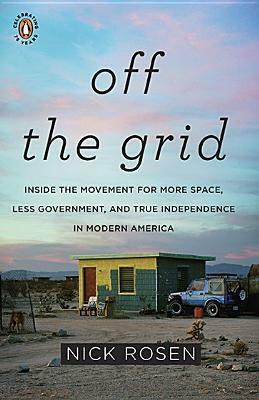 Inside the subculture of off-grid living Written by a leading authority on living off the grid, this is a fascinating and timely look at one of the fastest growing movements in America. In researching the stories that would become Off the Grid, Nick Rosen traveled from one end of the United States to the other, spending time with all kinds of individuals and families striving to live their lives the way they want to-free from dependence on municipal power and amenities, and free from the inherent dependence on the government and its far-reaching arms. While the people profiled may not have a lot in common in terms of their daily lives or their personal background, what they do share is an understanding of how unique their lives are, and how much effort and determination is required to maintain the lifestyle in the face of modern America's push toward connectivity and development. Founder of the popular wedding and lifestyle Web sites The Knot and The Nest, Roney offers organizing tips, personalization pointers, and high-impact decorideas to inspire nesters to let go of the stress and focus on creating a fun, stylish, and comfortable home. Begley encourages homeowners to reach for a higher level of eco-responsibility with home projects ranging from planting native gardens to installing solar panels and wind turbines. 100 b&w photos. Williams and the design experts at New York City's most popular thrift store, Housing Works, show not just "what" to look for in vintage decorating, but also how to recognize a treasure. Elegantly photographed and filled with practical sidebars.